For a recent client project I researched different content approaches used on Facebook pages. In this blog post I share a few posting types and trends that I have discovered. 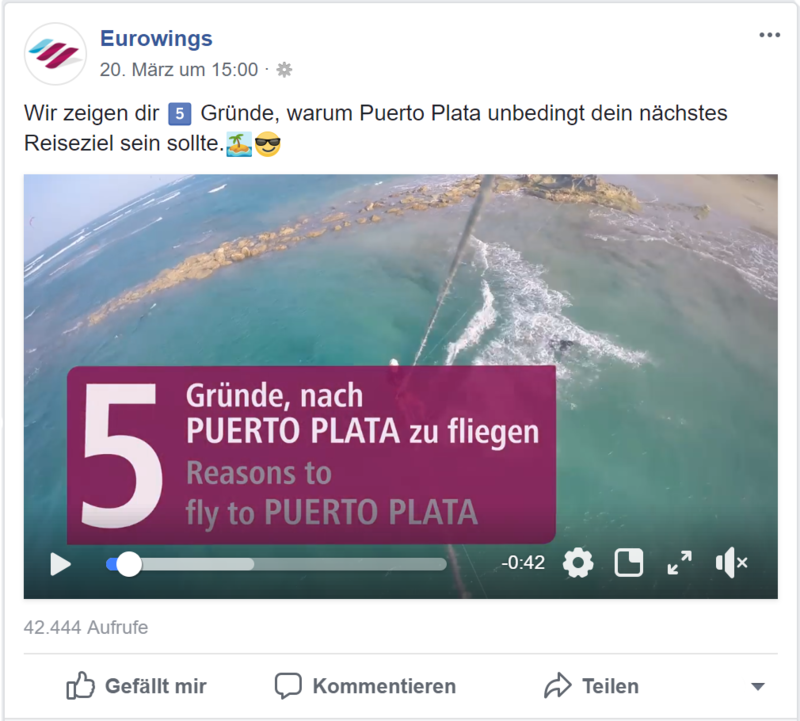 What I first recognized on the Facebook page from Eurowings, was that a lot of the content is supported by a well-known German comedian. They not only thought of picture and video content, but even created special GIFs to impress their followers. Moreover, Eurowings likes to integrate their customers by letting them choose a new flight destination and reposting their Instagram content. 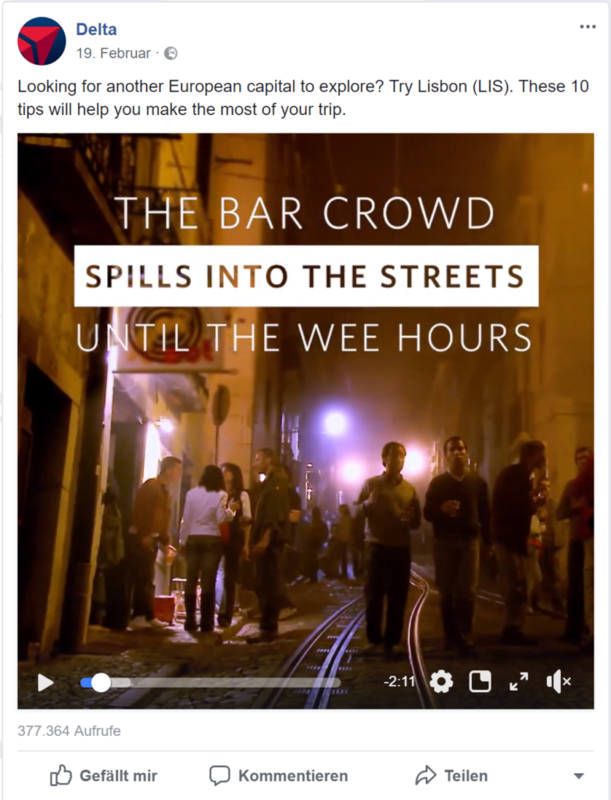 However, what I like most about the Eurowings Facebook page are the creative video clips giving you five reasonable arguments to visit a specific destination. Those videos always maintain the same style and transport valuable information quickly. 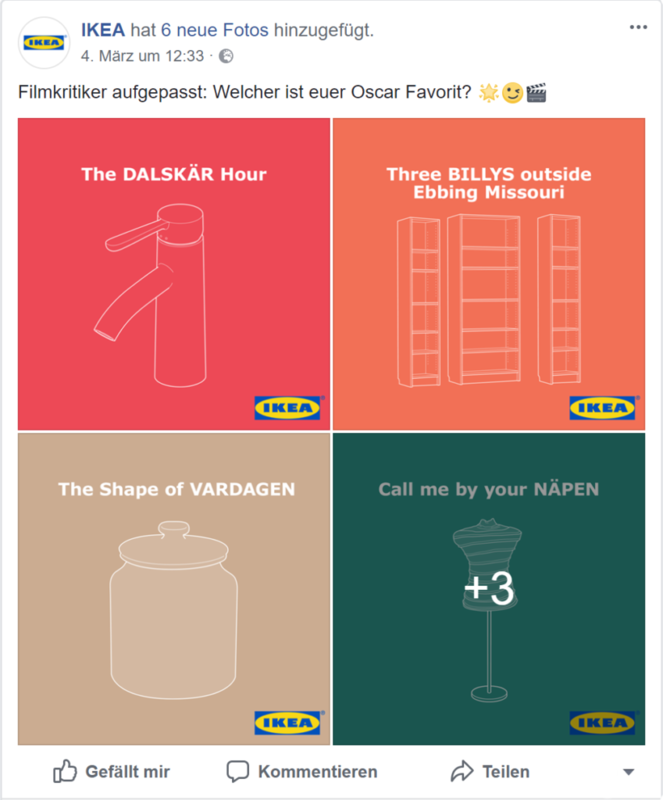 The second Facebook page I had a look at was IKEA Austria. I realized that IKEA also tries to get more in touch with their customers online. Therefore they often create prize competitions, surveys and DIY ideas. Beside that, IKEA occasionally provides you with background information about the company’s history and employees. One creative method used is to link depicted furniture with each content. By doing that interested people will be able to find those products in the online shop much easier. Replacing parts of OSCAR-movie titles with IKEA product names is another example for brilliant product integration. 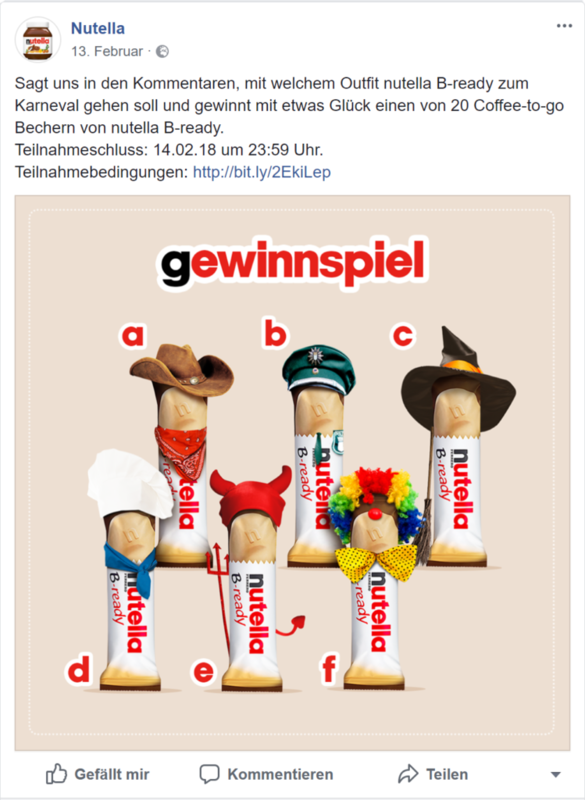 Nutellas Facebook page is very different compared to the other pages I had a closer look at. Nutella puts it main emphasis on sweet and adorable content, leading you to question if their main target group are children. Nevertheless, I do believe that not only the young generation is going to enjoy Nutellas DIY videos and delicious recipes. To mix up their content, Nutella sometimes posts surveys asking their followers about eating habits and more. In addition, special events like carnival are combined cleverly with their products. Delta Airlines Facebook page is providing more serious content like weather and flight updates. Furthermore, they are leading in regards to video content. The primary aim of the videos is to approach various target groups like singles, but also families and couples. Every video clip contains helpful advice how to fully enjoy your vacation. However, not only are they giving you essential tips, they also provide you with numerous destination possibilities. Due to the fact that these videos contain a lot of information, Delta Airlines peps them up with typographical elements. Your followers expect well designed material and the right mix between entertainment, product and service content. Once a style and posting types are agreed on you have to continue to regularly check on new posting trends on the specific platforms.